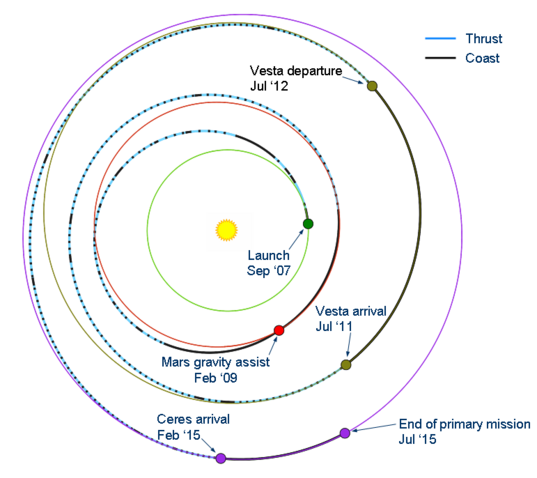 To account for details of the normal variations in the trajectory (as illustrated in a log last year) as well as the properties of the protoplanet that will be determined as Dawn closes in on it, controllers may adjust the sequences of commands that are being developed this year for execution at Vesta . For example, once the brightness of different regions of the surface is known, the instructions for the science instruments to perform their observations may need to be changed accordingly. The procedures to make these modifications reliably are complex, and the time available between receiving the pertinent data from the spacecraft and radioing the refined sequences back often will be only a few days. The team has formulated detailed schedules for all the necessary work, including the checks needed at every step. 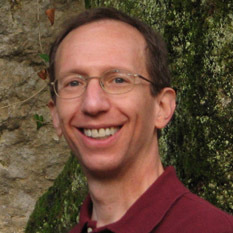 Engineers have established the criteria for making revisions, determined exactly what data must be presented and in what format at each meeting for which a decision will need to be made, and developed the computer programs to be used for verifying that no unintentional changes are made along with the intentional ones. Even as the team was simulating activities in the future, Dawn remained committed to its present task of thrusting with its ion propulsion system. Last month, it exceeded the greatest propulsive change in speed by any other spacecraft. On July 8, it passed another milestone when its ion thrusters had yielded 10,000 mph over the course of the mission. Such an achievement may seem somewhat less noteworthy when expressed in metric units, as the project does, but 4.47 kilometers per second is just as great a velocity! Measurements were taken of the alignment between the primary science camera and the visible and infrared mapping spectrometer to augment those made in April. All these will be of value in combining data from the two complementary instruments at Vesta and at Ceres. As Dawn gradually closes in on Vesta, it continues to climb away from the sun. On July 26, it was exactly 2 AU from the master of the solar system, or twice Earth's average distance from the Sun. In the northern hemisphere summer, Earth is at its farthest from the Sun, so it will not be until August 24 that Dawn will be precisely twice as far from theSun as Earth is. 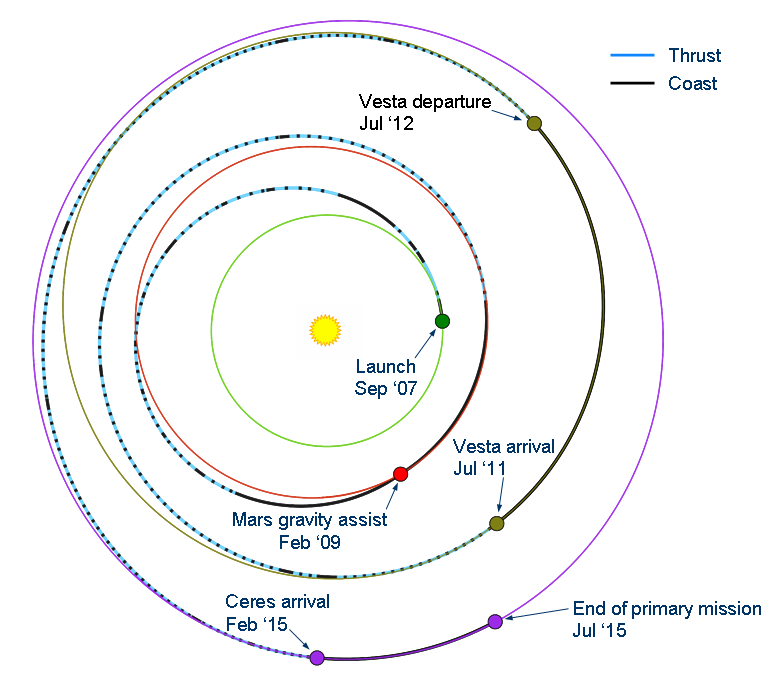 Even then, as most days, while our home world continues following its repetitive loops around the sun, the spacecraft will persist in enlarging its orbit. The region of the solar system occupied by our planet, its inhabitants, and the companions it brings along under the grip of its gravity is now alien to Dawn. The sun that burns bright and large in our sky, although brilliant throughout the solar system, grows dimmer and smaller as the ship sails on. Dawn is a permanent denizen of the asteroid belt, the only spacecraft ever to take up residence there. Far from the sun, far from Earth, the probe carries with it the spirit of exploration and the quest for knowledge that thrive in the home it left behind as it looks ahead in its search for new insights into the dawn of the solar system.